By default, the Oracle DBaaS Cloud Service blocks access port 1521 used by tnsping. You have to open the port before you can connect using SQL Developer or Connecting to another instance via sqlplus. 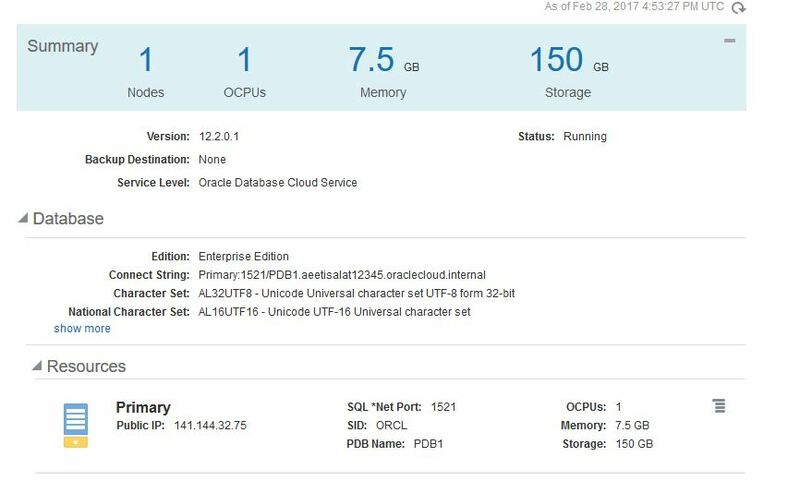 Log in to the Oracle Database Cloud Service and click on the service name which you already created. Note down the Public IP address and the Connect String. Click on the Database Cloud Service menu in Humburger icon and choose “Access Rules”. Enable the “ora_p2_dblistener” access rule, by clicking the humburger icon under Actions. 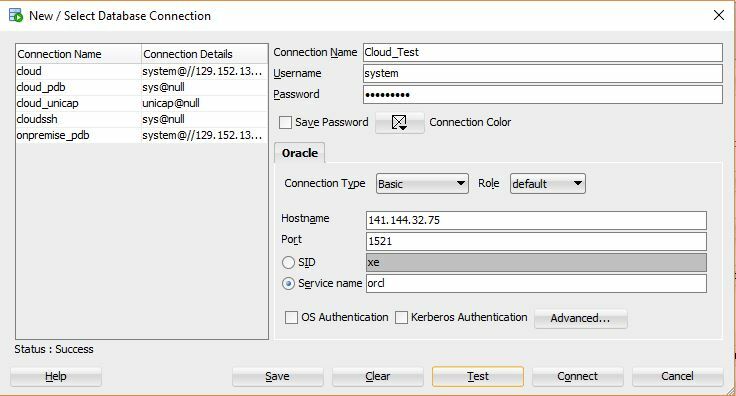 Now, you can use SQL Developer from your desktop to connect to the Cloud Database as you would connect to any on-premise database. Use the Public IP address as the hostname and the service name in the connect string. You are ready to use Cloud Database.